Connecting the Drops: A Water Story | Features | Kids VT - small people, big ideas! Stormwater runoff is rain that doesn't soak into the ground during a storm. It runs off into lakes, rivers and streams. Aquatic ecosystem is a community of plants and animals living in the water that are dependent upon each other. How does stormwater runoff hurt the natural waterways we all love? And what can we do to keep it from gushing into the lake every time it rains? 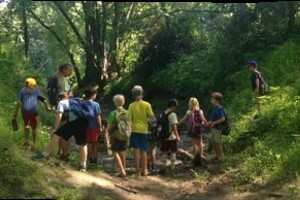 Find out this summer by reading a seasonal story walk created by Kids VT and the Winooski Natural Resources Conservation District. 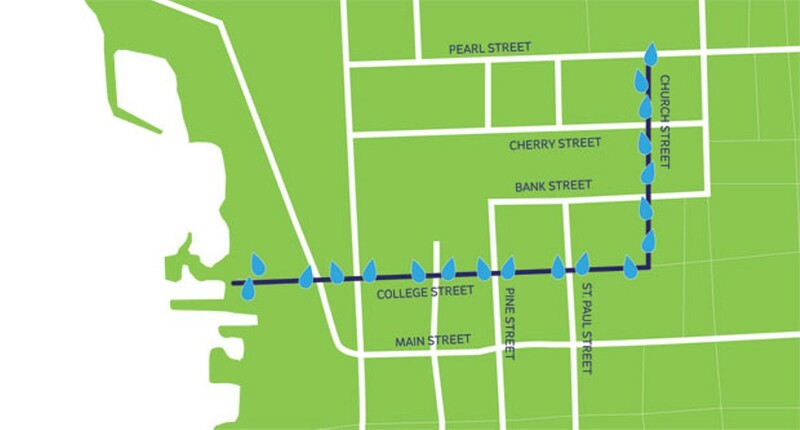 "Connecting the Drops: A Water Story" starts at the top of the Church Street Marketplace and ends at the ECHO Lake Aquarium and Science Center on the Burlington Waterfront. The fact-based tale unfolds along the way on 19 separate panels illustrated by Winooski artist Matt Morris. The story walk and the rain barrels will appear in mid-May and remain in place until August 30. 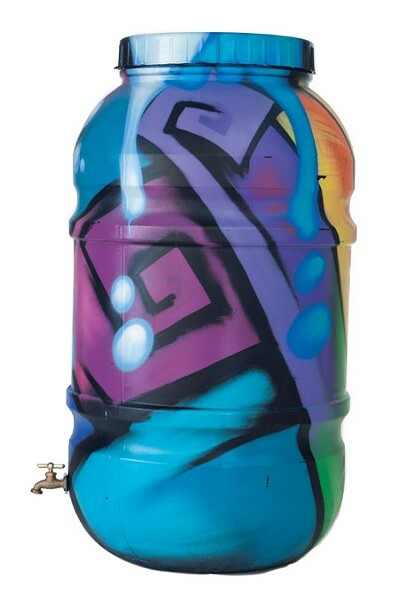 At the South End Art Hop on September 6, you can bid on a barrel at a live auction to support the "Let It Rain" stormwater program, which seeks to reduce runoff in the Lake Champlain Basin. Find more information about the program at letitrainvt.org. Each of the story-walk panels accompanies a piece of public art — a rain barrel that has been transformed by a Vermont artist. Rain barrels collect and store water that flows from downspouts, as you'll discover in our story. You can see a full list of participating artists at Frog Hollow on Church Street. The story explains the problem of stormwater runoff — and offers some DIY solutions — in a simple and entertaining way that young children will love. We hope parents will appreciate it, too. At Kids VT, we were surprised by how much we learned and how much we enjoyed working on this project! Don't miss this unique chance to teach your kids about our aquatic ecosystem. If you visit on a rainy day, you might want to duck inside ECHO to check out its stormwater-investigation table and "Let It Rain" stormwater programs.